Real Estate Investment in the form of hotel rooms. Rove Walk City, Dubai is a premier hotel located at the Epic Center of Dubai City. Selling Price: AED 770,888 including Vat. This is a hands off investment therefore is fully managed and the returns are paid quarterly. This is the first of its kind in UAE. We’re pleased to announce a fantastic hotel investment opportunity by a reputable and proven UAE developer, giving up to 8% returns- NET. It’s a low rise building so only 17 floors and will be on a first come basis. 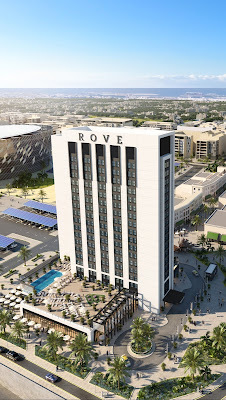 Rove hotel investment at City Walk.